One thing’s for certain: There’s no getting bored at Belcampo. 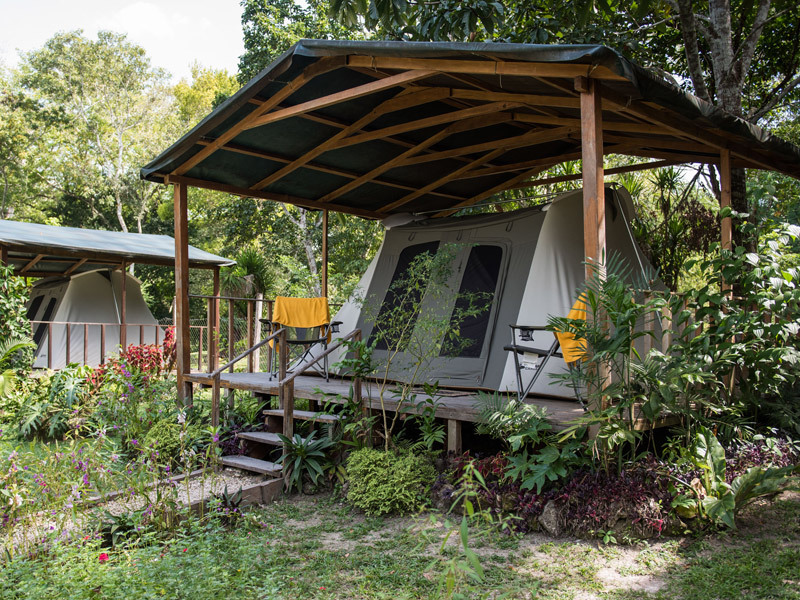 Located in Belize’s southern district of Toledo, in the jungle-covered hills that stretch up from the country’s Caribbean coast, the lodge comprises 12 airy (and air-conditioned) suites, a 1,214-hectare (3,000-acre) farm with oranges, spices, coffee, and chocolate, a 6,070-hectare (15,000-acre) rainforest preserve, and a long list of adventures to be had. 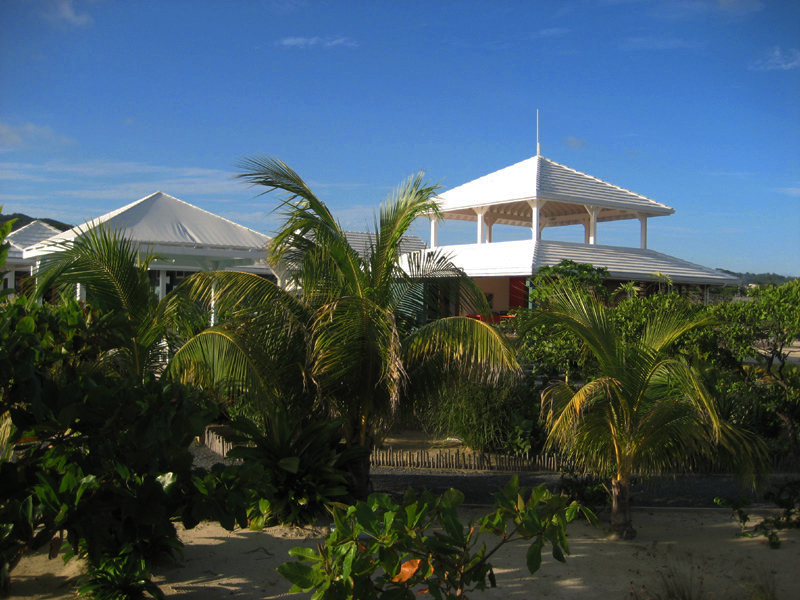 Accommodations at Belcampo are spacious, private, and ideal for families. Jungle and lodge suites include two queen beds, plus a futon (options with bunk beds are forthcoming). Each is outfitted with local artwork, a screened-in verandah, and a large bathroom with incredible floor-to-ceiling jungle views. 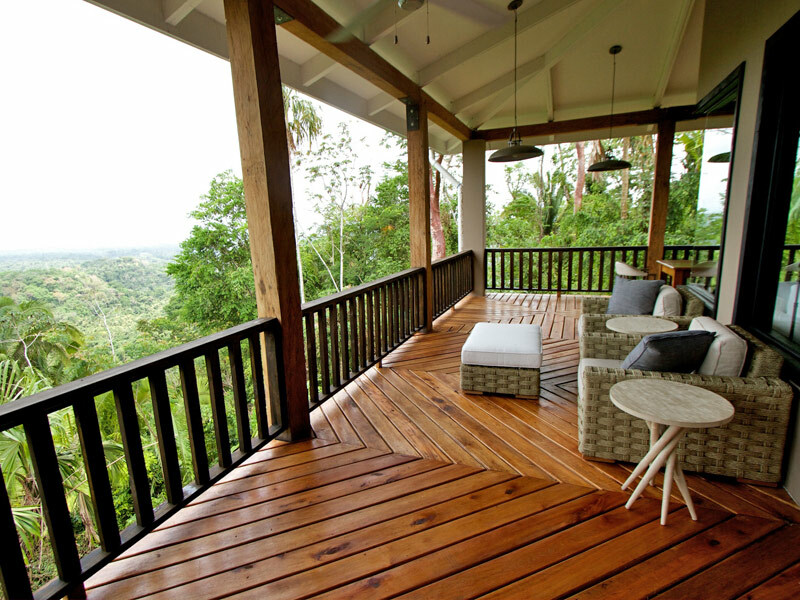 In and around the main lodge, you’ll find a spa, a small pool, coffee and rum bars, observation decks with incredible views, and an open-air restaurant (with a children’s menu) where adults can toast an adventurous day and kids can use the telescope on hand to search for monkeys and birds.